Hobbit hominins of Flores island, why extinct? This video is a 2017 documentary on the hobbit hominins of Flores island in Indonesia. “The first time I went to the excavations at Liang Bua, I remember watching the bones coming out of the ground and being amazed at how it was almost all rat”, recalls Matthew Tocheri, the Canada Research Chair in Human Origins at Lakehead University. When H. floresiensis burst onto the paleoanthropological scene in 2003, its small brain and strange, primitive traits sparked debates about where it fit within the human family tree. As scientists hunted for clues to this mystery, the hobbit’s environment began to come into focus, with digs at the site revealing a cast of prehistoric characters almost as bizarre as the hobbit itself, from giant storks to cow-sized elephant relatives and ancient komodo dragons. Of all the species on Earth, “rodents are the most diverse group of mammals”, remarks study leader Elizabeth Veatch, a graduate student at Emory University who is affectionately known by the research team as Miss Tikus (Indonesian for “rat lady”). And in paleoanthropology sites, these variations can convey information about the local ecology and environment through time. This shift, the team hypothesizes, reflects a change in the environment surrounding the cave with “more open habitats giving way to more closed ones”, says Jatmiko, a study coauthor and researcher at the Indonesian National Research Centre for Archaeology. The team’s analysis is “elegant and careful”, says Bernard Wood, director of the Center for the Advanced Study of Human Paleobiology at George Washington University, who adds that it showcases the need to take many possible interpretations of a given fossil record into account. “This study is yet another example of the folly of equating the end of the fossil record of a taxon at a local site, or sites, with its extinction across a much larger region,” he says. On March 6, Facebook founder and CEO Mark Zuckerberg published a statement entitled “A Privacy-Focused Vision for Social Networking” on the Notes tab of his personal page. 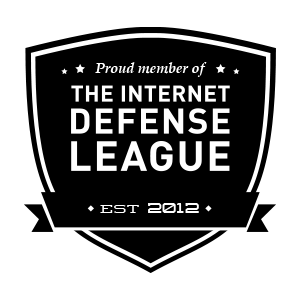 Widely described as a “manifesto”, the document is a brief for ending the mass public exchange of ideas on social media platforms like Facebook, Instagram and WhatsApp, as well as across the Internet as a whole, under the guise of “protecting privacy”. The manifesto begins with Zuckerberg emphasizing that he is “taking positions on important issues concerning the future of the Internet”, not just social media. He says that he is “working openly and consulting with experts across society as we develop this.” In other words, Facebook—which has grown to 2.7 billion users across the globe and has a Wall Street value of nearly $500 billion—is working with consultants at the highest levels of the tech industry and US intelligence establishments to develop its plan. After three years of continuous battering by the corporate media and Washington political establishment over “fake news”, unsubstantiated claims of Russian interference in the 2016 elections and numerous data privacy violations, Zuckerberg has dutifully drafted a plan intended to mollify his critics. However, from the standpoint of the ruling class, the real problem with Facebook is none of the above-mentioned transgressions. Nowhere in the official media response is there any connection drawn between Zuckerberg’s new vision and the blatant political censorship that Facebook has been engaged in for over two years. Under the guise of fighting “fake” accounts and implementing “harm prevention”, Facebook’s army of 30,000 censors and artificial intelligence bots have removed millions of user accounts and posts arbitrarily identified as inauthentic or misinformation. Facebook’s Data Deals [with Amazon, Google, Microsoft, etc., violating privacy] Are Under Criminal Investigation: here. Most people who make changes to Wikipedia pages are volunteers. 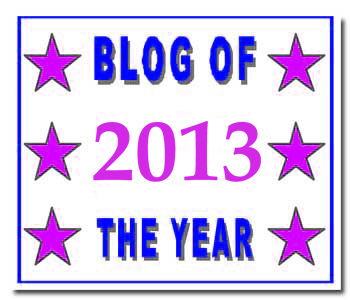 A few people, however, have figured out how to manipulate Wikipedia’s supposedly neutral system to turn a profit. Facebook, Axios and NBC took advantage of that and paid a guy to whitewash their Wikipedia pages. Here is Ashley Feinberg on how she got the story. The mother Tyrannosaurus breaks her fast to provide a kill to feed her young. Even though they are small and vulnerable, the young T-Rex‘s already have a fierce competitive streak. Broadcast in 1999, Walking with Dinosaurs set out to create the most accurate portrayal of prehistoric animals ever seen on the screen. In a study published last week in the peer-reviewed journal Peerj — the Journal of Life and Environmental Sciences, UWO scientists reported evidence that a juvenile T. rex fed on a large plant-eating dinosaur, even though it lacked the bone-crushing abilities it would develop as an adult. “We suspected that T. rex was responsible for the bit marks, because in the upper Cretaceous rock formation, where the hadrosaur was discovered, there are only a few carnivorous dinosaurs and other reptiles in the fossil record. Crocodile fossils are found there, but such a crocodile would have left tooth marks that are round rather than the elliptical punctures we found on the vertebra,” Peterson explained. They found that the dimensions of the “teeth” better matched a late-stage juvenile T. rex (11 to 12 years) than an adult (approximately 30 years). “Although this T. rex was young, it really packed a punch,” Peterson said. Barenboim conducting the Chicago Symphony Orchestra in a stellar performance of Tchaikovsky’s 4th Symphony in F minor for the opening concert of Carnegie Hall’s 1997 season. Yes, that is the legendary Bud Herseth marshalling the CSO’s incredible brass. In 2018, CSO management reported their best year ever in ticket sales, but have complained that the orchestra’s budget is straining under pension costs. However, ticket sales only support a small portion of the orchestra’s costs. To a large extent, the symphony is beholden to the whims of wealthy corporate and private benefactors for its financing. Gina said, “This reminds of the quote from the film Dead Poets Society: “We don’t read and write poetry because it’s cute. We read and write poetry because we are members of the human race. And the human race is filled with passion. And medicine, law, business, engineering, these are noble pursuits and necessary to sustain life. But poetry, beauty, romance, love, these are what we stay alive for. 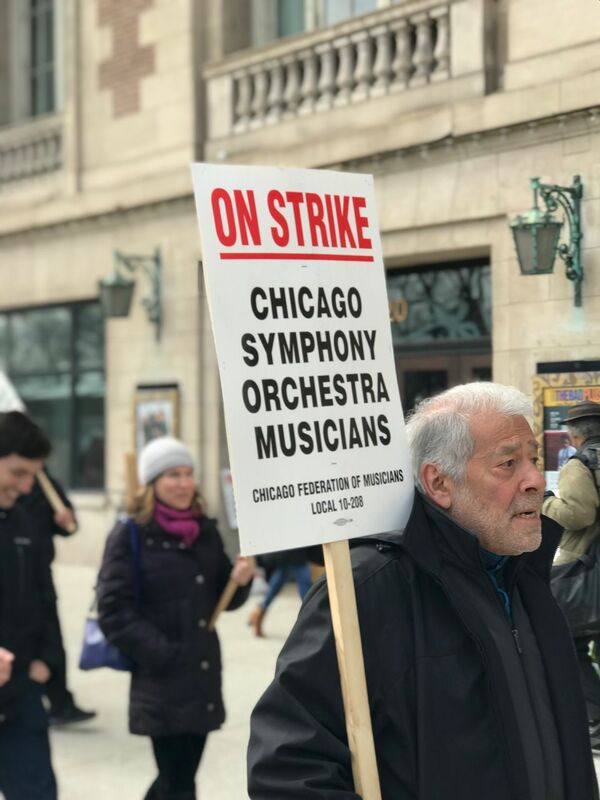 Chicago Symphony Orchestra (CSO) musicians are continuing their strike, which began Monday morning. The contract agreed between CSO and the Chicago Federation of Musicians Local 10-208 in 2015 expired on Sunday. Negotiations had been going for more than 11 months and no new negotiations have been scheduled. CSO Director Riccardo Muti spoke at a lunch hour press conference on Tuesday, surrounded by the horn section of the CSO. “I am here with my musicians,” Muti said, who is known worldwide for his public defenses of funding for the arts and opposition against budget cuts in his home country of Italy: here. 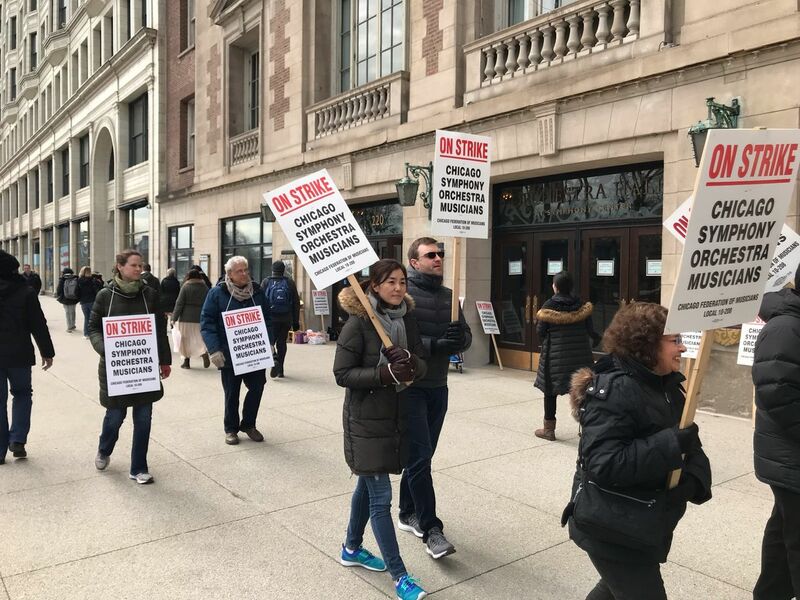 The strike by Chicago Symphony Orchestra (CSO) musicians is now in its second week with management cancelling performances through March 25. Little progress in negotiations has been reported and musicians conjecture online that the strike may go on for weeks or months. In 1982 the Chicago musicians conducted a 21-day strike and a 15-day strike in 1991: here. Nengo et al. New infant cranium from the African Miocene sheds light on ape evolution. Nature 10 August 2017. The teeth of a new fossil monkey, unearthed in the badlands of northwest Kenya, help fill a 6-million-year void in Old World monkey evolution, according to a study by U.S. and Kenyan scientists published in the Proceedings of the National Academy of Sciences. The discovery of 22-million-year-old fossilized monkey teeth — described as belonging to a new species, Alophia metios — fills a void between a previously discovered 19-million-year-old fossil tooth in Uganda and a 25-million-year-old fossil tooth found in Tanzania. The finding also sheds light on how their diet may have changed the course of their evolution. Since the time interval from 19 to 25 million years ago is represented by a small number of African fossil sites, the team targeted the famous fossil-rich region of West Turkana to try to fill in that blank. The success of Old World monkeys appears to be closely tied to their unique dentition, researchers said. Today, the configuration of cusps and lophs on the molar teeth enable them to process the wide range of plant and animal foods encountered in the diverse environments of Africa and Asia. “You can think of the modern-day monkey molar as the uber food processor, able to slice, dice, mince and crush all sorts of foods,” said Mercedes Gutierrez, an anatomy professor at the University of Minnesota. “How and when this unique dentition evolved is one of the unanswered questions in primate evolution,” said James Rossie, an anthropology professor at Stony Brook University. The researchers speculated that Alophia’s primitive dentition was adapted to a diet that consisted of hard fruits, seeds and nuts, and not leaves, which are more efficiently processed by the more evolved dentition of fossil monkeys dating from after 19 million years ago. The researchers hypothesized that the inclusion of leaves in the diet is what later drove monkey dental evolution. Monkeys originated at a time when Africa and Arabia were joined as an island continent, with its animals evolving in isolation until docking with Eurasia sometime between 20 million and 24 million years ago. It was only after docking that the mammals today typically considered “African” — antelope, pigs, lions, rhinos, etc. — made their entry onto the continent. So, researchers asked: Could this event and possible competition between the residents and the newly arrived Eurasian species have driven monkeys to exploit leaves, or did changing climates serve to make leaves a more attractive menu entrée? The team intends to be back in the field later this year.